Manufactured to the highest standards with top quality materials, Exclusive’s libraries are increasingly specified by discerning customers throughout the UK, from local authorities and councils to the independent schools sector. As our bespoke and fitted furniture is designed, manufactured and individually hand finished in our factory in Sturminster Newton we are able to provide an aesthetic and practical solution to every conceivable library requirement. We can supply both bespoke and standard furniture in various configurations and materials to suit all functional and budgetary requirements. From a simple refurbishment to complete turn-key solution; we have carried out a large number of complete refurbishments as well as designing libraries from scratch. 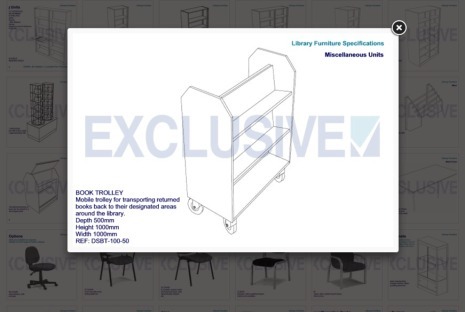 From complete ‘Blue Ribband’ projects, to individually designed shelving units, Exclusive provides purpose-built solutions to every conceivable library requirement.